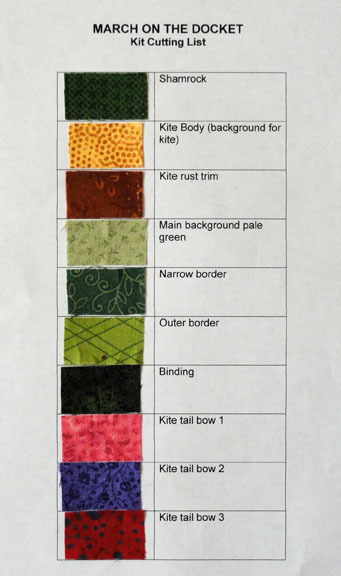 Please note that there are two yellow "kite background" cuts in the kit. Use the long narrow strip to complete paper piecing of 3 shamrock sections. Use the wider strip to complete the interior of the kite once the shamrock has been placed.